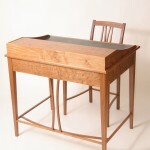 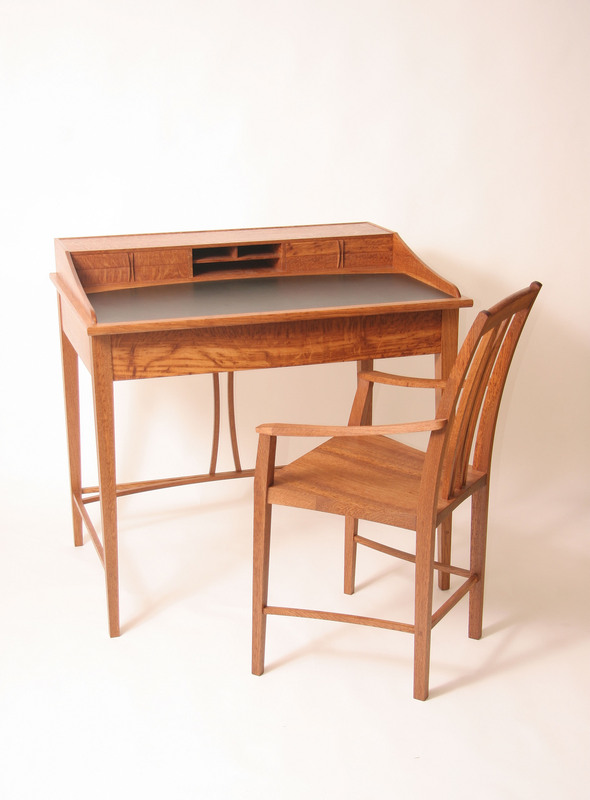 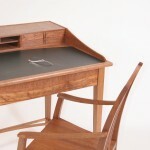 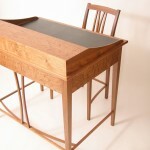 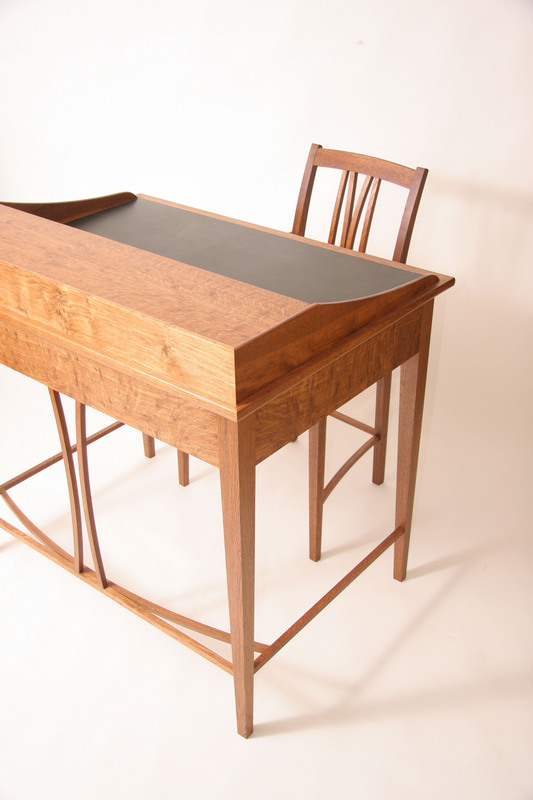 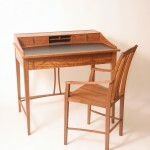 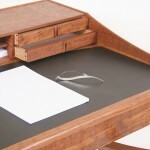 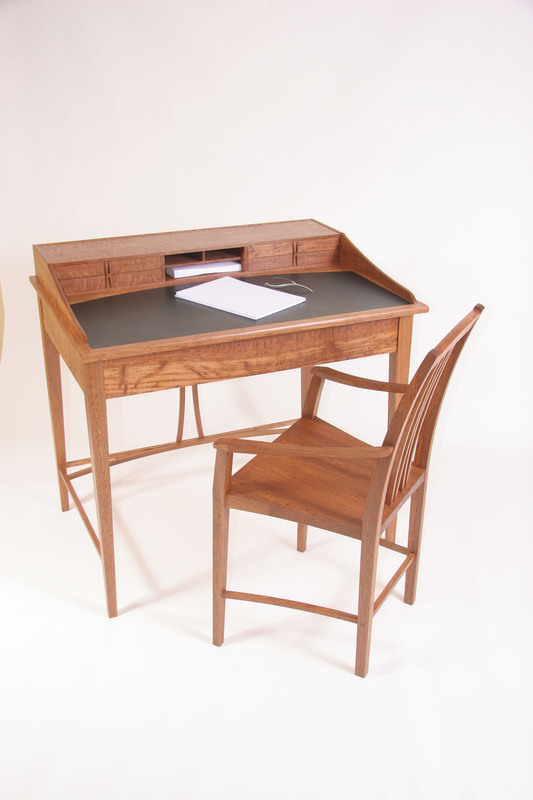 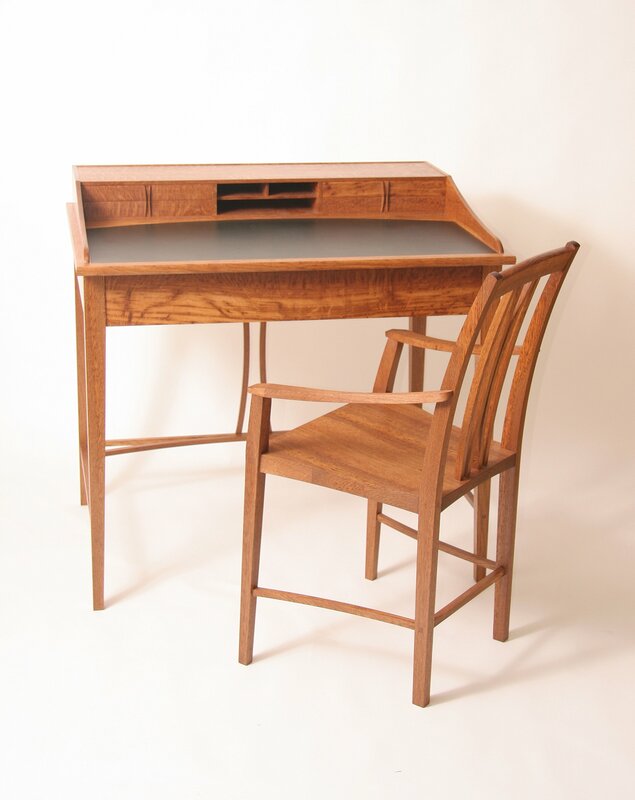 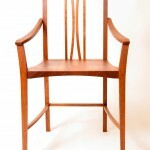 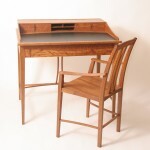 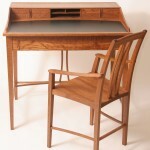 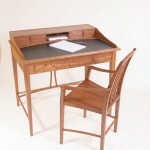 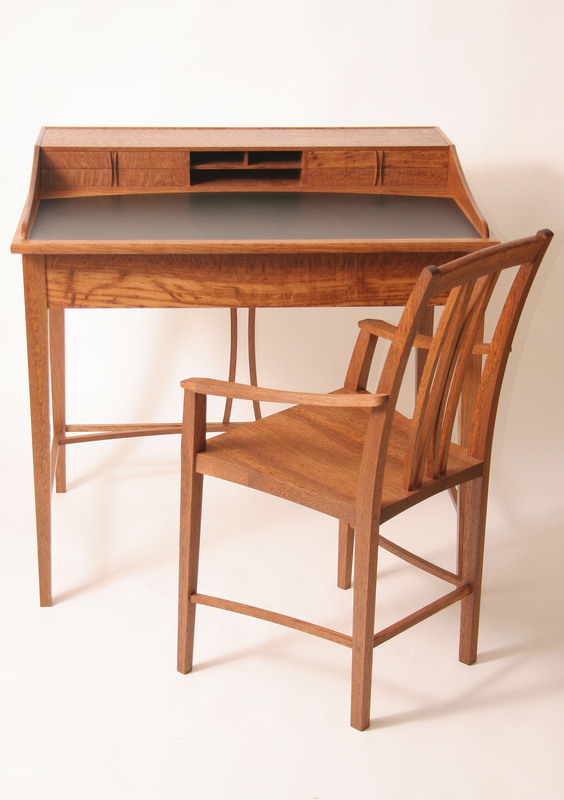 An elegant writing desk with matching chair made in native brown oak with cedar of lebanon and plain quartersawn oak. 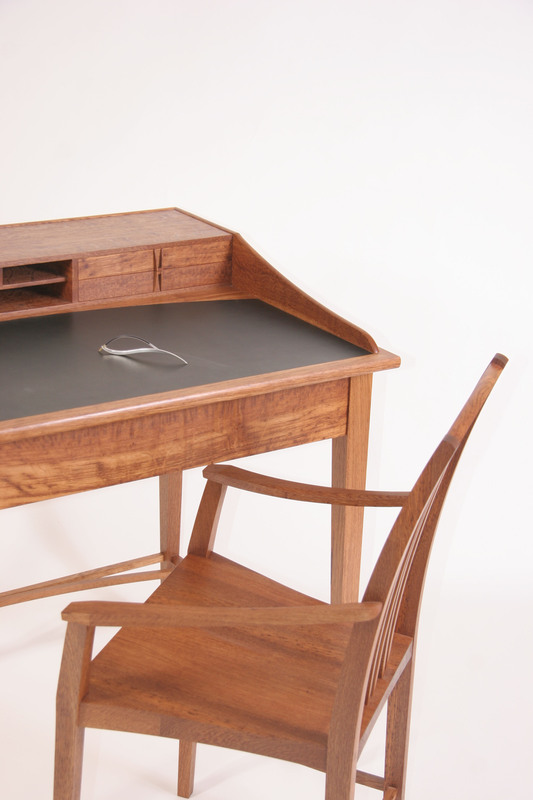 The desktop is lined with Italian leather. 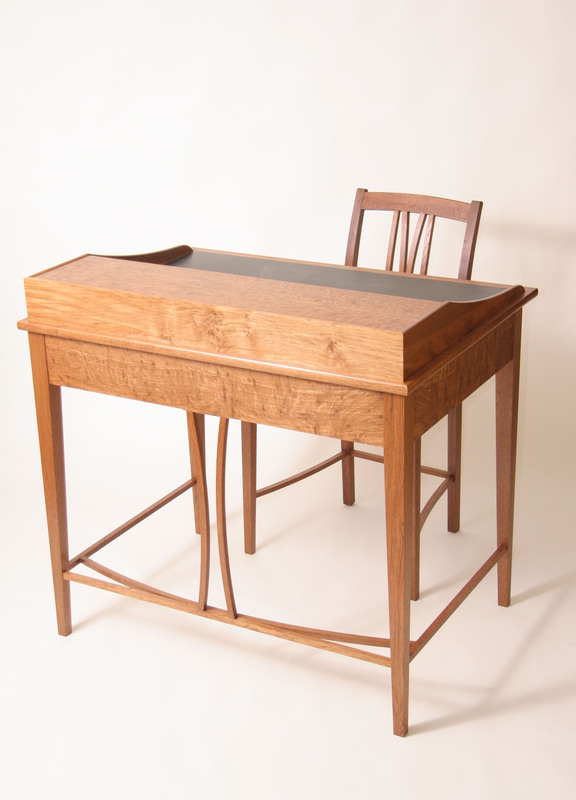 The desk was commissioned by the Vicar of the Church of St. Ann for him to write his sermons on. 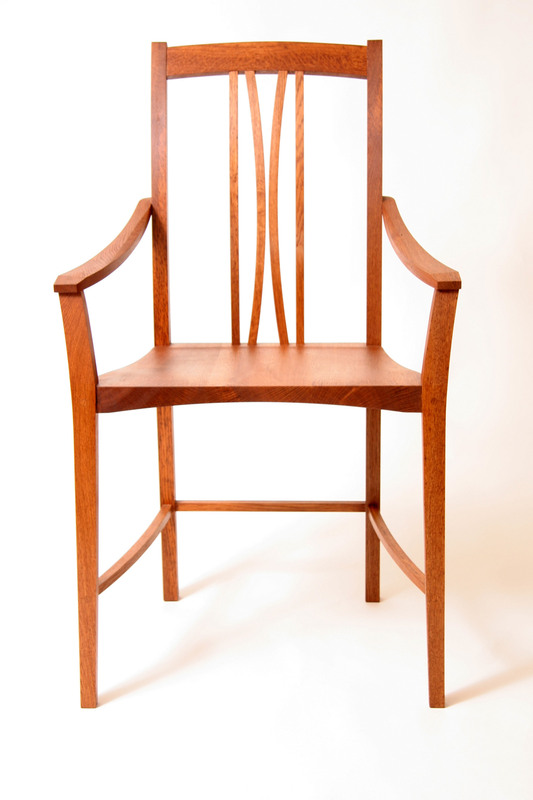 The chair is made from solid brown oak and reflects the delicate shapes and curves in the desk and the shaped seat is very comfortable. 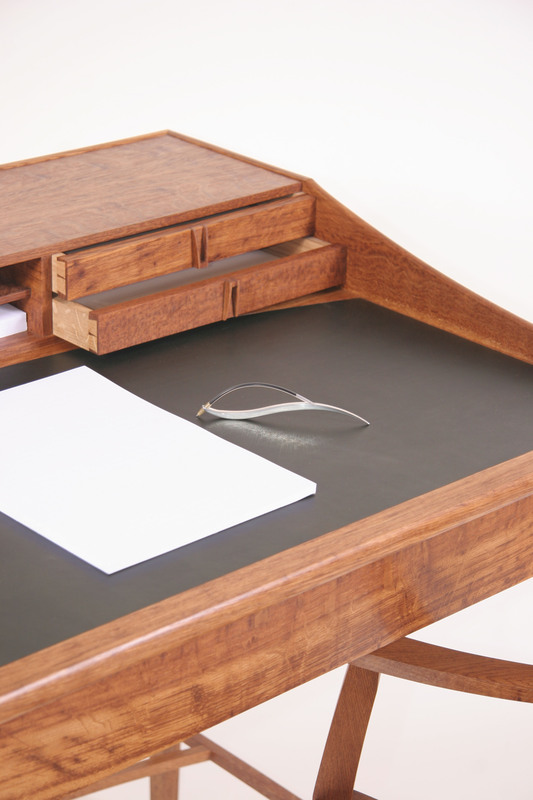 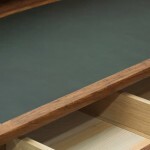 The desk features 5 drawers – four smaller ones as part of the desk tidy and one large one which slides out from underneath the desk top.